Mandatory ethics training requirements for new and continuing REALTOR® members was established by the National Association's Board of Directors at the 1999 Annual Convention to heighten member awareness of the key tenets of the Code of Ethics; to create awareness of and appreciation for the role the Code can and should lay in their professional lives; to enhance professionalism and competency; and to encourage REALTORS® to view their Code of Ethics as a living, viable guide in their daily dealings with clients, customers, and the public. The ethics training requirements went into effect January 1, 2001, as the start date of the first quadrennial cycle. which will end December 31, 2020. During this time period, over a million REALTORS® across the United States and Canada will reaffirm their vows and commitment to excellence, professionalism, and doing the right thing! 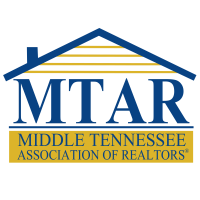 At MTAR, there are several ways you can satisfy your NAR REALTOR® requirement. Each association determines what meets the requirement. No matter which path you take to complete the requirement, your commitment and adherence to the REALTOR® Code of Ethics is one of the most important ways you can distinguish yourself as a cut above the rest! If you are a new member, or a member who is required to take orientation during the current two year cycle, you will satisfy your Ethics requirement by completing orientation. On a regular basis, and especially as we end the two year deadline for the Ethics requirement as well as earn you those needed TREC Education requirements. GRI 1 Professionalism, taken at the State Association level (TAR) as part of obtaining the coveted GRI Designation, also satisfies the NAR Ethics Requirement. 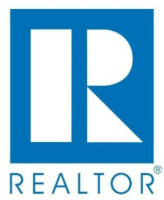 Perhaps the easiest way to meet the NAR Ethics Requirement is to take it online at your NAR home, www.NAR.realtor. The cost is free (although you do not earn TREC education credits) and you can stop and start at your convenience within a 30 day time period. A passing grade is automatically updated in you NAR education record and MTAR is notified of your completion. Be sure to chose "Existing Members" not "New Members". 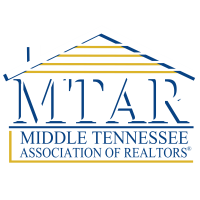 Annually, MTAR hosts the Regional Education Forum (REF) leadership meeting (typically in November) during which time Professional Standards covers the NAR Ethics Requirement. 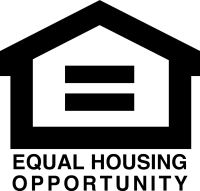 Ethics courses offered through TREES and The CE Shop, that specifically apply to REALTOR ethics may also apply. Check with MTAR before assuming so. Check the MTAR Education Calendar to register for The NAR Ethics 2019-2020 Course! Failure to complete the NAR Ethics Requirement before the end of the cycle will result in suspension from MTAR, NAR, and TAR, and forfeit all rights to the REALTor® name and all REALTOR® member services and privileges. MTAR members must take the online Ethics course at www.NAR.realtor or the online courses above, or complete the requirement at MTAR or another REALTOR® association. There are some online schools that offer the course, but they are NOT affiliated with NAR. Therefore, taking an Ethics course other than those outlined will result in not meeting the NAR requirment.